How are you all doing this week? I want you to comment down below something exciting or positive that happened to you this week. I'm always so thrilled to read comment from you guys and I'm also just nosey haha! Anyway, this week, I wanted to talk about the print of the season! If you've been paying a lick of attention to this upcoming season's trends or even just checking out what's new in the shops, you'll have noticed cheetah or leopard print EVERYWHERE (much to my mom's bestie, Mrs. Cindy's, joy)! 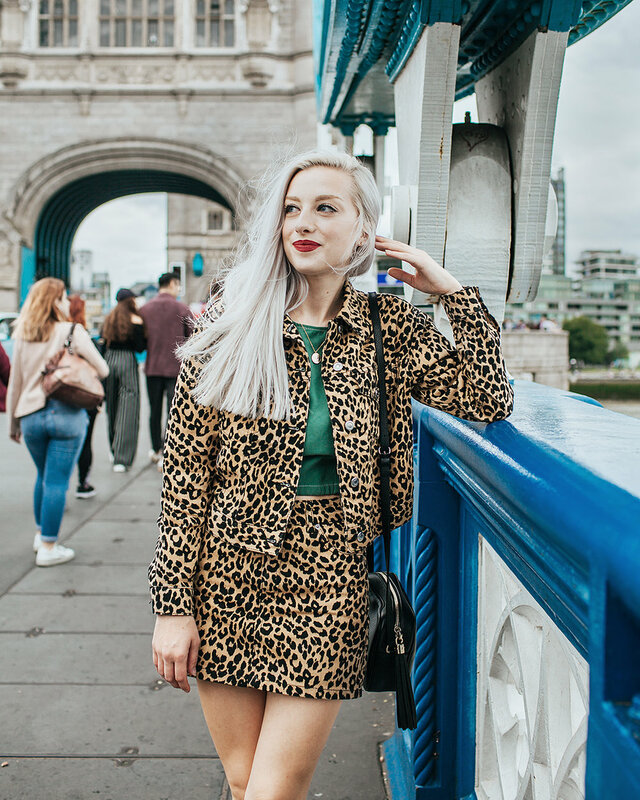 Cheetah print is obviously a timeless pattern that will be around long after other quirky prints, but it seems to be making an ever bigger resurgence this autumn than ever before! Since it's a pattern I feel quite comfortable rocking, I've decided to kind of rethink the way I typically wear it and be a bit more creative with it, whether that's wearing it with unexpected colors, wearing a lot more of it at once, or even mixing different patterns with it! Maybe this will inspire you to be a little more adventurous with your cheetah print pieces too! Something we often pair with cheetah/leopard print are blacks and whites, but what we're forgetting is that the pattern is already made from two neutrals; black and beige! Why pair even more neutrals with a neutral pattern, when you can experiment with color instead?! Being made up of neutrals, makes cheetah print a lot more versatile than we realize! Nearly every color can be paired with this print for the perfect combo of color and pattern. The only color I might not think of pairing with a traditional cheetah print are some shades of yellow, as yellow is very close to beige. For my outfit, I decided to pair my cheetah print with this lovely sage green top from Zara because I thought green was a color I wouldn't typically think of pairing with cheetah print! As this co-ord set from Topshop suggests, the more cheetah print, the better, right? Previously, I would've been quite conservative with the amount of this print that I would rock. I'd maybe throw on a cheetah print scarf or my beloved cheetah print flats from Target that I wore to death in high school, but I've been more inclined recently to just throw on ALL the cheetah print! I mean, why not? Being a quite neutral pattern, cheetah print seems to be one of the most perfect prints to combine with other patterns! I've even been wearing a cheetah print tote bag with this outfit, and because they're different color-ways and different size patterns it totally works! Combining it with a polka dot print has also been a great combo! As I always say, but also always mean, thank you so so much for reading my blog posts. You guys know how much time, effort, and creative goes into each one, and it means the world to me that you're reading them, because that means that all my hard work is worth it! I hope you're feeling a bit more confident about experimenting with cheetah print for this fall season now. A special thank you goes to the lovely Lucy for taking my photos here in London. She's such a talented individual and definitely deserves your attention over on her Instagram! Also while you're over there follow me too if you haven't already! I post nearly everyday and I've been posting a lot of London adventures over on there recently!